PADI Scuba Diver Course - Get certified while on vacation in Belize! Get certified while on vacation! With this 2-day PADI Scuba Diver Course, you can acquire your scuba certification with 40’ depth limit, all while on vacation. This adventure includes applying the skills you learn, after some light class work and confined water skill practice, to two 40 ft open water reef dives, exploring the second largest living barrier reef in the world. Ambergris Divers’ PADI Scuba Diver Program, is a pre-entry level certification and a subprogram of the PADI Open Water Diver Certification, covering the first three chapters of a full certification. The course includes dive equipment and instruction on planning and safety skills. Ambergris Divers also has the PADI Junior Scuba Diver available for kids between ages 10-14. This course earns you a “Scuba Diver Certification” Rating; limited to dive under supervision of a PADI Professional to maximum depth of 40 ft.
After completing the Scuba Diver program, you may continue your dive education with the PADI Open Water Diver certification. 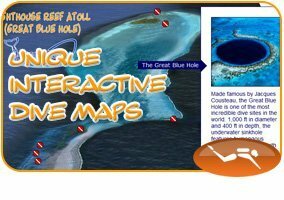 Ambergris Divers lets you easily upgrade, or you may take the remaining requirements of the Open Water course at a later date. 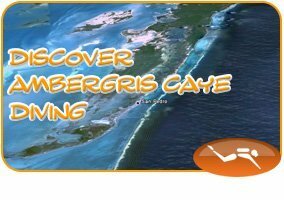 Which Ambergris Divers’ dive trips can I do with this rating? Barrier Reef Local, Hol Chan Shark Ray Combo, Island Secrets Day Trip. Also available: pick up and drop off service from your resort – inquire, state resort you will be staying at. Schedule: 2 full days: 9am to noon, 2pm to 5pm. Included: Includes dive gear use and online certification registration.